Cucumber, a vegetable that’s well known by everyone. It tastes really good and little do people know about its health and beauty benefits. 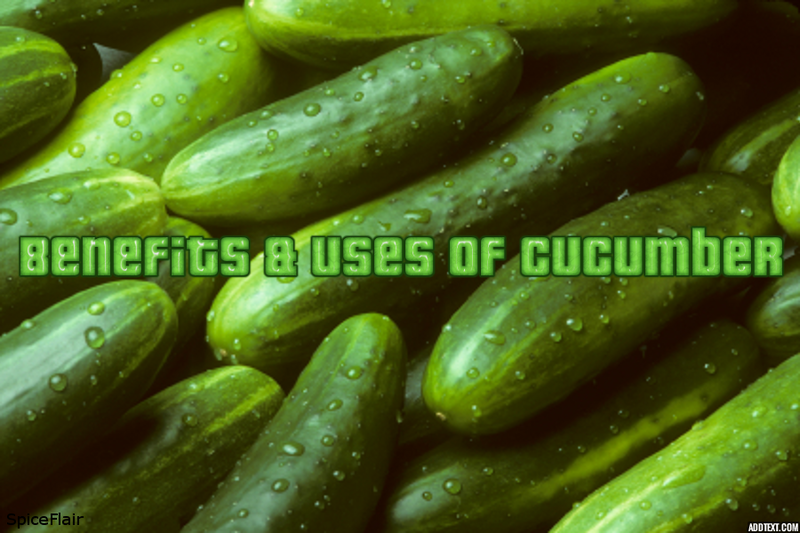 So, HNBT has decided to bring to you the benefits of eating cucumber and some beauty treatments of cucumber. It’s a wonderful source of Vitamin B. It also has Vitamin C.
It’s mineral-rich i.e. it has potassium, phosphorus, calcium, sodium, silica, etc. When consumed with its skin on, it becomes a wonderful source of roughage, thereby helping in easy bowel movement. You may check out our article on “Know what your poop says about your health“. It’s mostly made up of water, so it’s pretty healthy. It does not have any visible side effects on our skin. It’s a wonderful food and medicine for diabetic patients. Its juice is perfect for the maintenance of connective tissues and cartilage. It helps in preventing cancer. It gives us relief from heartburn. It stabilizes high and low b.p. Its water-rich character helps in getting rid of many skin problems and diseases. 1. Face mask -It is an excellent face mask for skins of any type. Mix half a cucumber (crushed) and one tablespoon of yogurt. Apply on your face and skin. Leave it on for 20 minutes and wash off with lukewarm water. Advantages: As we all know, yogurt helps in exfoliating skin, relieve sunburn, treat pimples and discoloration of the skin. Yogurt also helps in attaining a smooth and moisturized look. 2. Acne treatment -Make a mixture of cucumber juice (two tablespoons), rosewater and fullers earth. Apply on your face and let it sit for 20 minutes. Later, wash off with lukewarm water. 3. An excellent anti-aging treatment -Take an egg white, some grated cucumber (as per requirement), apple paste and one tablespoon of lemon juice. Mix these ingredients well and apply it onto your face. Leave it on for twenty minutes. Wash off with lukewarm water. 4. Removes the puffiness in the eye region -Cut two big slices of cucumber and place them on your eyes. Let the cucumber slices sit on your eyelids for 10-15 minutes. Repeat this regularly to get rid of the puffiness around your eyes. Also read : How To Improve Eyesight Naturally? 5. Removes sunburn up to some extent -Make an even mixture out of curd and some crushed cucumber. Apply this on your face and wash off after 20 minutes to detan yourself. -Mix equal amounts of fresh tomato and cucumber juice. Applied on the tanned part. Rinse off after 10 minutes. You may also check out other alternatives to “Sunburn Treatment“. 6. Silky and shiny hair like never before -Apply its juice on your scalp and massage thoroughly. Leave it on for 15-20 minutes. Wash off with a good shampoo to get silky and shiny hair. Your may also check our article on “Home Remedies for a beautiful hair” or “Hair Washing Tips and Shampoos“. 7. Improved skin complexion -Mix together some cucumber juice, one tablespoon of honey and some liquid face wash. You may store this in a bottle and use it as your homemade face wash.
8. Slices of cucumber on eyes not only gives relieves but also helps is removing dark circles -Cut two big slices of cucumber and place them on your eyes while you rest. Do like this daily for 10-15 minutes to get rid of your dark circles. Your may also check our article on “Get Rid Of Your Dark Circles“. 9. Oily Skin Treatment -Rub slices of cucumber on your face for controlling the excess oil. You may also check our article on “Oily Skin Treatment“. Thank you oakley originals and infographicaday.com for an awesome infographic. That would be all from us on uses of cucumber. If you know anything apart from these, we will be happy to hear from you.